The entrance to the Machu Picchu Site Museum is now free in the afternoon shift for the entire public. Tourists from all countries and all ages can access this cultural venue simply by showing their identity document or passport. Find out everything about this promotion. What pieces are in the Machu Picchu Museum? How to get to the Machu Picchu Museum? Is admission to the museum free in the afternoons? What are the free admission schedule to the Site Museum? What documents to submit to enter the museum for free? Does the free admission include the botanical garden? What are the entrance fees to the Museum? How to enjoy the ticket Machu Picchu + Museum free? Now the entrance to the Machu Picchu Museum is free in the afternoon (from 12 pm to 4 pm) Take advantage of this super promotion and know in depth the mysteries of the Wonder of the World. You should only go near and show your passport or identity document. What pieces are in the Machu Picchu Site Museum? The place also has a didactic exhibition about the work of excavations in the Inca City. In total there are eight sequences summarized to the public through maps, infographics and interactive videos. Next to the museum of Machu Picchu there is a botanical garden. This place keeps some of the 420 species of orchids that surround Machu Picchu. Among the other species of flora that inhabit the garden, include: arboreal ferns, the slipper of the Ñusta, the pleuthattis revoluta and many more. How to get to the Machu Picchu Site Museum? 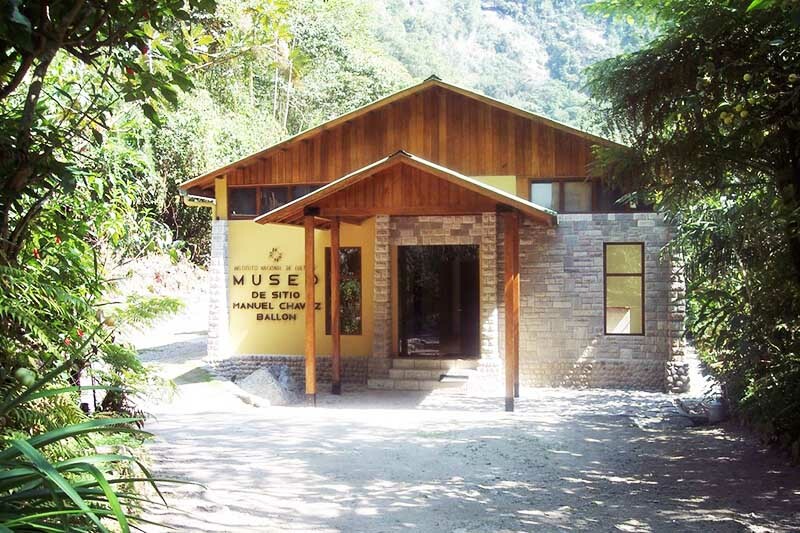 The Manuel Chávez Ballón Museum is located on the Hiram Bingham road, at the Old Puente Ruinas Km 112 of the railway line, in the town of Aguas Calientes. The entrance to the Site Museum is free in the afternoon. This new promotion seeks to encourage visits to this cultural center to all domestic and foreign tourists. This promotion is effective from the first week of July 2018. The Site Museum opens its doors from Monday to Sunday from 9 am to 4.30 pm The late shift is from 12 pm to 4 pm During those 4 hours, the view is free. This promotion is valid for all Peruvian or foreign tourists regardless of age. The only requirement to enter for free is to present the national identity card or passport in force. University students can present their university card. Yes. This promotion includes the entrance to the botanical garden. This enclosure is located next to the Machu Picchu Site Museum. *All visitors enter for free in the late shift (from 12 pm to 4.30 pm). How to enjoy the ticket Machu Picchu + Museum free ? The ticket Machu Picchu + Museum is one of the 4 types of tickets to the Wonder of the World Machu Picchu. This ticket allows to enter both the Inca City and the Manuel Chávez Ballón Site Museum. This ticket is ideal for people looking for a cultural visit to the Inca llaqta. Monday through Friday from 9 a.m. to 4.30 p.m. The visitor can choose to visit the Wonder of the World in the afternoon and the museum in the morning or vice versa. In the case you choose to go to the museum in the afternoon, the entrance to the cultural venue will be free. The availability of tickets depends on the ticket spaces Machu Picchu Solo. The Site Museum owns some of the Inca pieces returned by Yale University in the United States during the excavations made by explorer Hiram Bingham in 1911. In 2012, after an agreement between the countries of Peru and the United States, many of these Inca pieces were returned to Cusco. Today, some of the ceramic pieces, lithic, bone and more are displayed in the Machu Picchu Site Museum and the Museum of the Concha House in the city of Cusco. For a perfect cultural visit in Machu Picchu it is recommended to visit the Inca City in the mornings and the Manuel Chávez Ballón Site Museum in the late shift. The entrance to the Inca City Machu Picchu is mandatory with an official tourist guide. Visiting the museum is a great alternative to complete the knowledge during the guided tour of the Historic Sanctuary. If you wish to enter the Site Museum in the morning, it is recommended to book the ticket Machu Picchu + Museum and visit the Inca City in the afternoon. The ticket Machu Picchu + Museum must be booked at least 3 days in advance. It is advisable to acquire it online. ← How to pay the Ticket Machu Picchu with VISA card?